What a Perfect Popover it was!! It is steamy and buttery scented; Crusty on the outside and hollow on the inside with full of hot air. This is a deceptively simple but very tasty; Quick and super easy to make! I have double the portion to make 12 pcs on the muffin tray. 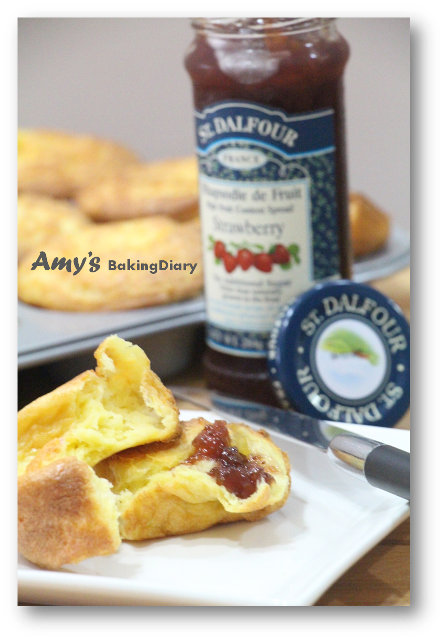 These plain popovers are perfect for a smear of strawberry jam. To be honest, I don’t know what is Popover until I google and saw the image. I’m definitely quite sure I had eaten this before but didn’t know it is called Popover. 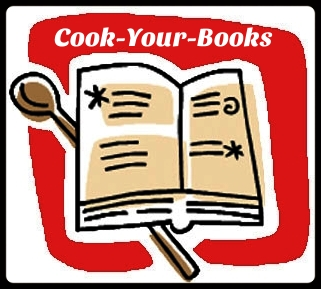 You can find so many recipes on Popover on internet. So I decided to adapt Stewart Martha’s recipe. (1)Preheat oven to 450 degrees. Lightly grease and flour a popover tin. 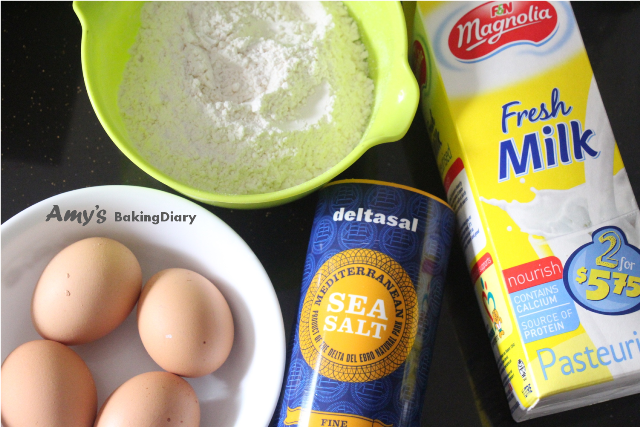 (2)In a large bowl, whisk together flour and salt. In a separate medium bowl, whisk together eggs, milk, and 1 tablespoon melted butter. Pour over flour mixture, and fold until just blended. (3)Fill the popover cups two-thirds to three-quarters full. 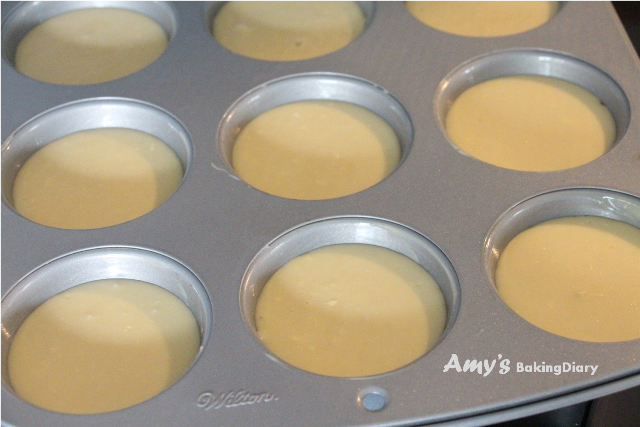 (4)Transfer tin to oven, and bake for 15 minutes. Reduce the temperature to 350 degrees, and bake until well browned and crusty, about 20 minutes. Remove popovers from the oven, and unmold onto a rack. Puncture the sides with a sharp knife to let steam escape, and serve immediately. Zoe from Bake for Happy Kids, Joyce from Kitchen Flavours and Lena from Frozen Wings. The theme is Popovers from 15-24 September 2014. I wouldn’t have chance to do such a lovely bake if I don’t bake along with you ladies. 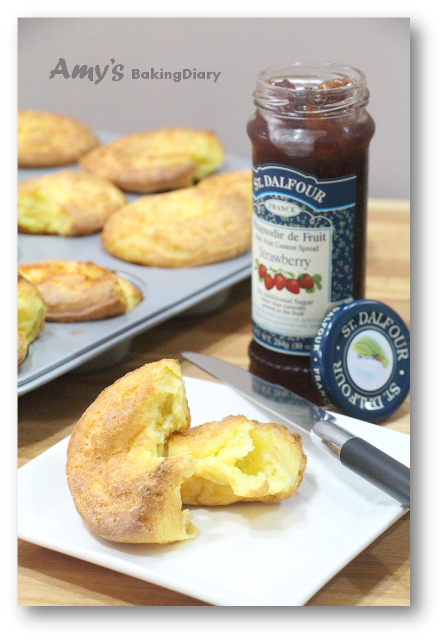 Your popovers looks very light and delicious with the strawberry jam. 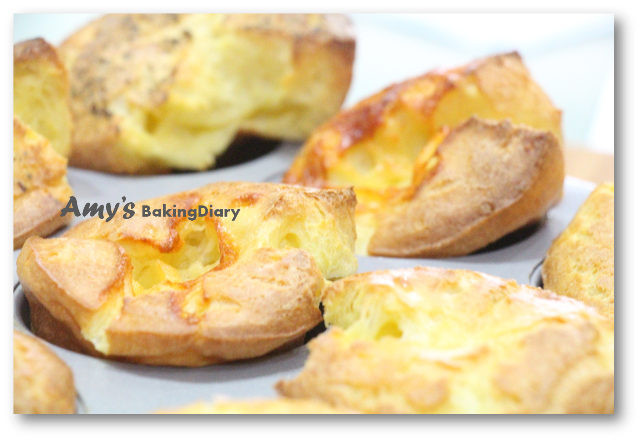 Popovers is one of our favourite snack! Am happy to see that you have given popovers a try in your own kitchen! 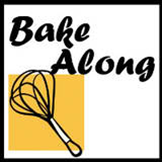 Always a pleasure to have you linked up with Bake-Along! And thanks for linking with CYB too! hi amy, we are happy to have you baking along with us too and i hope you will be able to explore more in our future events especially on something that you hv never baked or made before. Glad to know that these popovers turned out very well for you! I would love to have yours with a spread of strawberry jam. yum! !